So, Webster's and Tattered Angels are teaming up this month. It's such a match made in heaven! Here are some of my newest projects. 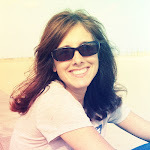 This one uses one of the new Heidi Swapp cut outs. LOVE them. They have foil and are embossed so that when you spritz them and wipe them off, the pattern shines through. 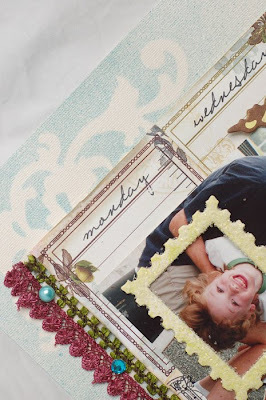 I used some Zva pearls and flowers along with the Webster's Life's Portrait papers. 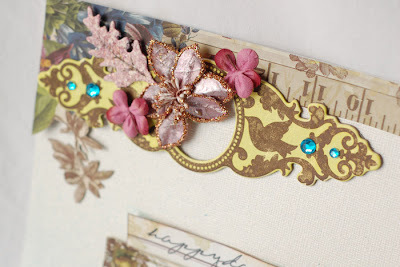 This next page uses Nature's Storybook line with some TA chipboard and a Glimmer Screen misted corner. (I used Patina on that.) The frame on Ryan's face is from the new postage stamp font. I used journaling cards for the background and some stickers from the Nature's Storybook line. Finally, this creation uses the 'Christmas card photo that never was.' I love the picture, but never ended up making the cards. It makes for a good layout though. Details on how I made the flowers and close up shots can be found HERE. 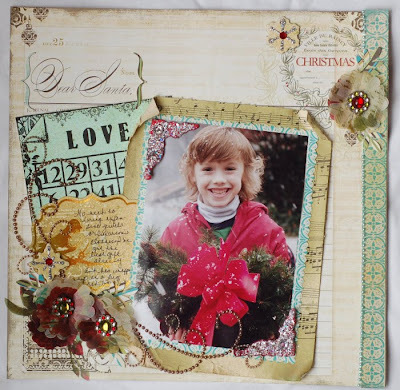 And if you want to see more gorgeous projects made with Tattered Angels and Websters they are all HERE. The pearl flourishes are new Zva! That's about it! Thanks for stopping by! Your projects are so beautiful! I love the bird with the pearls - so cute! The postage stamp frame is really cute too - great job! These are completely magical, Anabelle! Gorgeous! 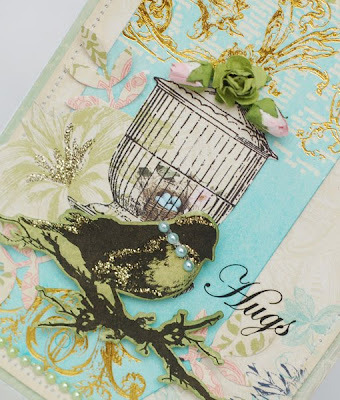 Tattered angels and websters are a match made in heaven and especially in your hands! Goodness girl, you are SOOO talented. I have a question..... our local scrapbook store doesn't carry Webster's. Is it an online website only. If so, how do I purchase their products. This is a great combo for sure and you certainly make it look beautiful! Such eye candy Anabelle! Love all the shimmer and WP! beautiful! That card is gorgeous! 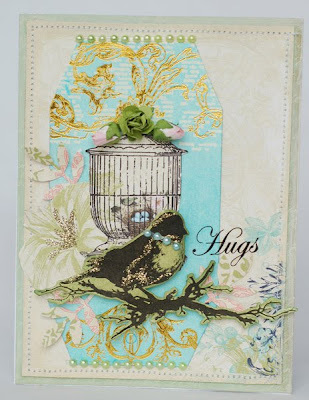 I saw your cards today in the new issue of Papercrafting mag. Congrats on being featured! Oh your work just makes me happy, my friend. I ADORE that Webster's card and the details on that layout is unbelievable! Love love love Webster... just got some of their papers... cant wait to do something with them. Your pages are pretty! Add your incredible design skills into the mix...now THAT's a match made in heaven! Annabelle, your work is amazing. It is simply beautiful. You are so rocking the Webster's and Tattered Angels stuff. You have such a way with Webster's Pages! Wonderful. I Can Spill the Beans!